WSPL is truly “Where Streator People Listen!” WSPL is an easy listening station, with an emphasis on local news, sports, and information, that Streator people want and need. 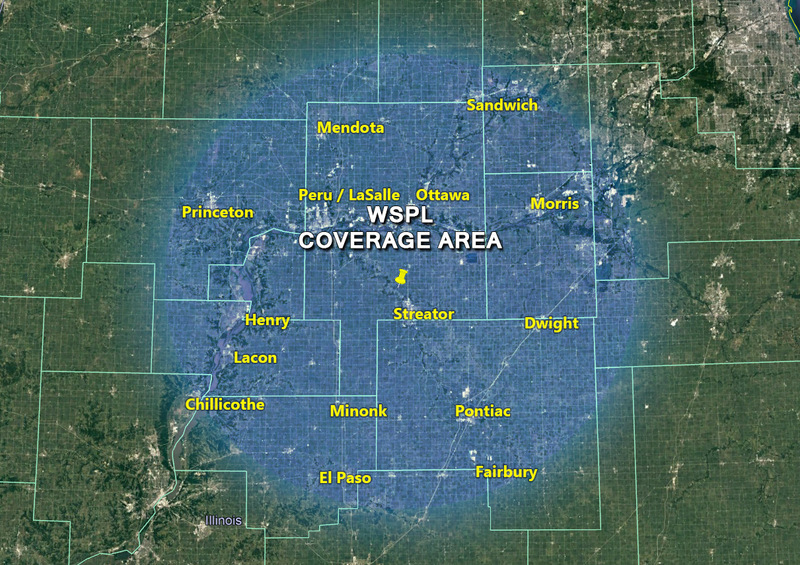 WSPL is the most listened to station in Streator with sister station Q Hit Music 2nd, and WALLS 102 third (Eastlan Ratings Service, 12+, Cume of the 61364 Zip Code, Fall 2018). Listeners tune into the Morning Show for updates on local and national news stories, swap shop, and the latest scoop on local events. Streaming live at wsplradio.com, and apps on your smartphone at WSPL Radio! Contact us to set up your free marketing consultation and learn how we can help you grow your business with all the services we offer!